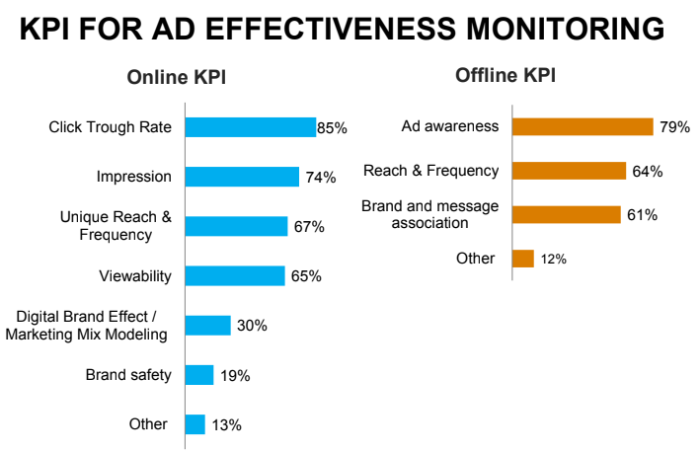 Advertisers spent 55% of their advertising budget on online advertising, including interactive and mobile last year, according to the latest Hong Kong Advertisers Association Advertising Spending Projections 2018 survey, conducted by Nielsen. Total advertising spend in 2017 was HK$41.9 billion, 4% more than in 2016. 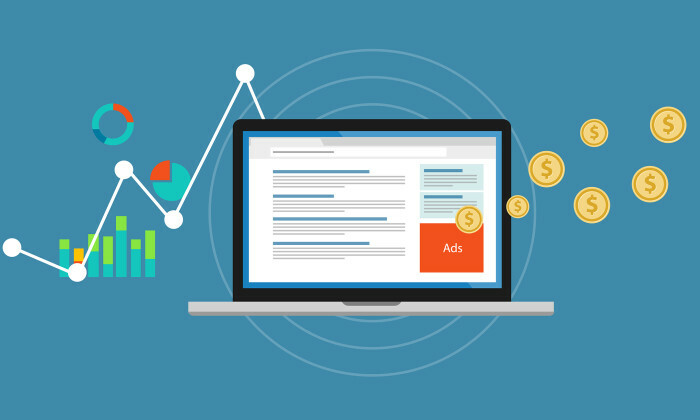 Advertising spending on online interactive and mobile accounted for 38% of all advertising spending, compared with 39% for TV and newspaper advertising combined. 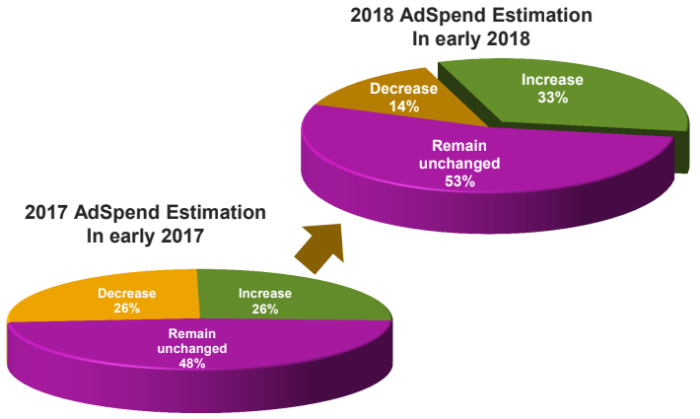 The survey shows that this year 33% of advertisers plan to increase their advertising spending, and another 53% said their budget will remain unchanged. 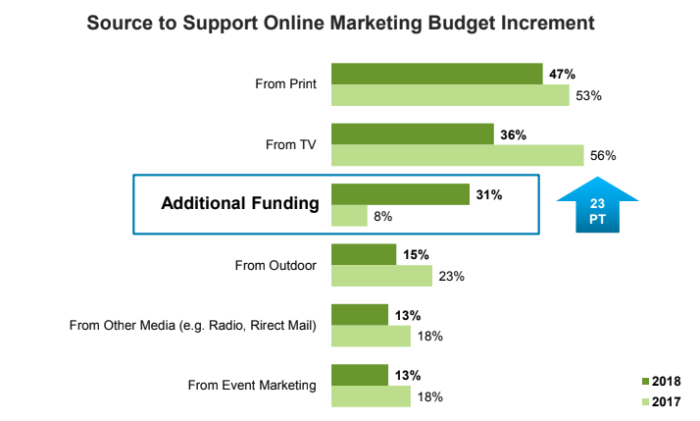 One changing trend is that instead of advertising funds being shifted from offline to online or mobile channels, 31% of advertisers are now gaining additional funding to support online marketing. The decline in the proportion of advertising funds allocated to offline channels last year was less than the decline in the previous year. “The increase in advertising budget is attributable mainly to advertisers’ increasing focus on digital media,” said Cherry Lau, senior director of media, Nielsen Hong Kong. In terms of the marketing effectiveness of various channels, 83% of respondents said they expected the marketing effectiveness of mobile marketing to increase, followed by online video (66%) and social media/paid social media content (65%). In regards to offline channels, live TV retains some of its competitiveness at 41%, but only 2% of respondents say they regard print as an effective channel. After years of engaging marketing activities with social media channels, advertisers are becoming more mature in using social media as a marketing platform, and more diversified strategies entail using online video (74%), mobile social (61%) and social media pages (56%). The survey also shows that advertisers are optimistic about Hong Kong’s economy, with 38% of them expected the economy to pick up in 2018, a level of confidence greater even than that related to the global economy. With the media landscape becoming more fragmented and diversified, advertisers see that the big challenge is to understand customers’ interactions across different media channels (41%). It is important for them to allocate the right resources to the right channels to maximise return on investment. However, rapid technological changes (22%) and increasing concern about privacy (19%) are seen as some of the rising challenges. “With online becoming the mainstream, there is no doubt that mobile will become preeminent over the next few years. Even though advertisers now have more experience and control in using online and in online/social marketing tactics, marketers are still keen on having cross-channel optimization and online measurement to help them make better decisions,” said Raymond Ho, chairman of the Hong Kong Advertisers Association. Intel’s CMO of six years Deborah Conrad is leaving in April, after a 27-year long stint with the company. ..
McDonald's has appointed former vice president of marketing, communications and consumer/business insight Stephen Chew (pictured) ..
“Some of the struggles we face with bigger agencies is how they apply similar approaches. It may be the easiest answer, but it may..